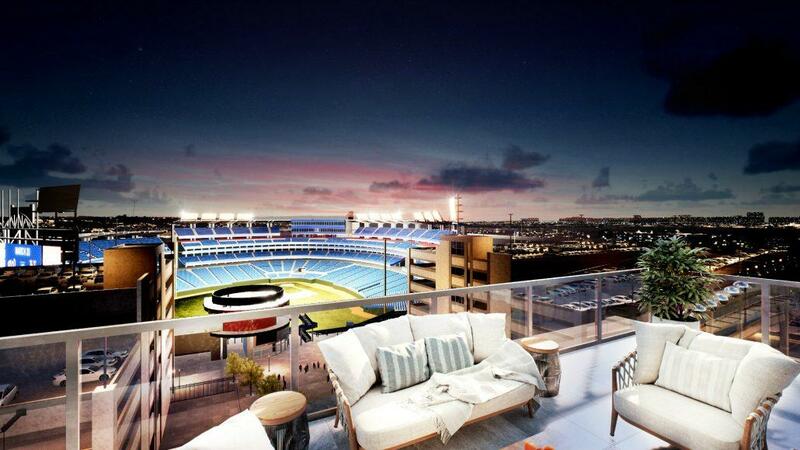 Views of the stadium from eNvy’s rooftop terrace. Nats Park opens for the season today, and before long, eNvy, a modern and sophisticated condominium development with direct views into the stadium, will host its grand opening. eNvy’s Grand Opening Event will be held at Nats Park on April 11th from 6pm to 8pm. RSVP here and get in line to be one of the first to see floor plans, renderings and pricing, and schedule an appointment to visit its soon-to-open sales gallery to experience state-of-the-art virtual reality tours. 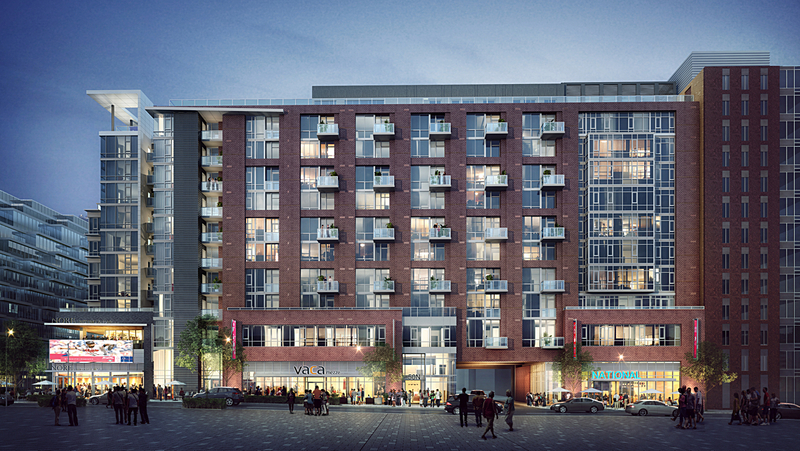 eNvy features 127 studio-, one-, and two-bedroom residences priced from the low $400s. 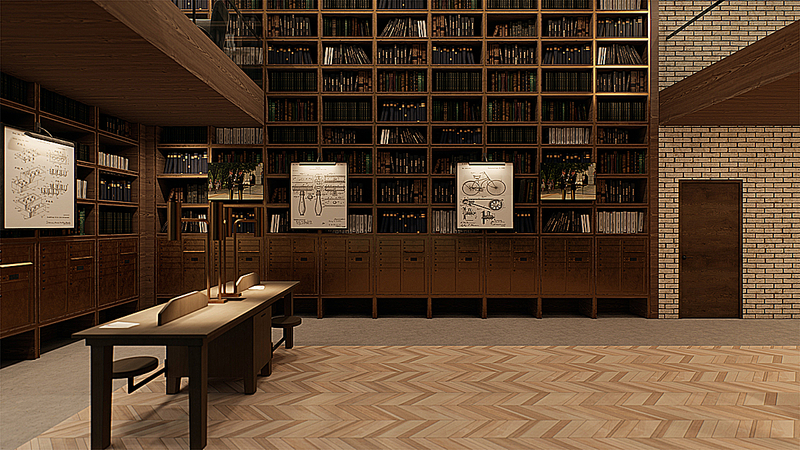 The building’s attention to detail and high-end finishes give it a distinctly boutique feel. Residences feature 9- to 10-foot ceilings, solar roller shades, floor-to-ceiling windows, adjustable closet systems by Organized Living, exotic hardwood floors by Kahrs, gas cooking and Bosch appliances. Bathrooms feature illuminated mirrors, glazed porcelain shower tile and hexagon-honed ceramic floor tiling. The residences also feature smart phone technology like programmable thermostats and USB outlets. eNvy‘s double height library space. eNvy residents will have access to high-end concierge services and a fitness center designed and programmed by FX Studios. On-site amenities also include a two-story library space, several resident lounges and a rooftop terrace featuring a kitchen with lounge seating, a dining space and a fireplace. The outdoor portion of the terrace boasts additional lounge seating, grills, a TV and fire pit. 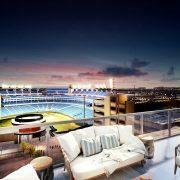 While all eNvy residents will be able to watch a ballgame or take in a stadium show from the rooftop terrace and lounge, many residents will also have views into the park from their homes and private balconies. Personal storage and bike storage are available, and underground garage parking is available at an additional cost. Many eNvy residences include balconies. The Ballpark District is a burgeoning waterfront neighborhood of restaurants, breweries, boutiques and bars. eNvy is across the street from newly announced Union Kitchen Grocery, Compass Coffee and Cold Stone Creamery along with Gatsby from Knead Hospitality & Design and Atlas Brew Works. It’s also within short walking distance of The Salt Line, Gordon Biersch Brewery, Bluejacket and Osteria Morini. Punch Bowl Social, a bar and restaurant with bowling, karaoke, ping-pong, and more, will open immediately next door at 1250 Half Street. Those on the eNvy VIP list will have the first chance to visit and experience its virtual reality program that will allow potential purchasers to walk through every unit of the building, adjust color palettes, and change the time of year and even time of day as they tour. To sign up for the VIP list, visit eNvy online here or email eNvy@urbanpace.com.